The last few years there has been an influx of unusual brews that have now become the trend. Everything from fruity brews, to ultra-concentrated hops in beers, to mouth puckering sour beers. Ever wonder where these enticing beverages such as sour beers came from? Or about what makes a sour beer sour? 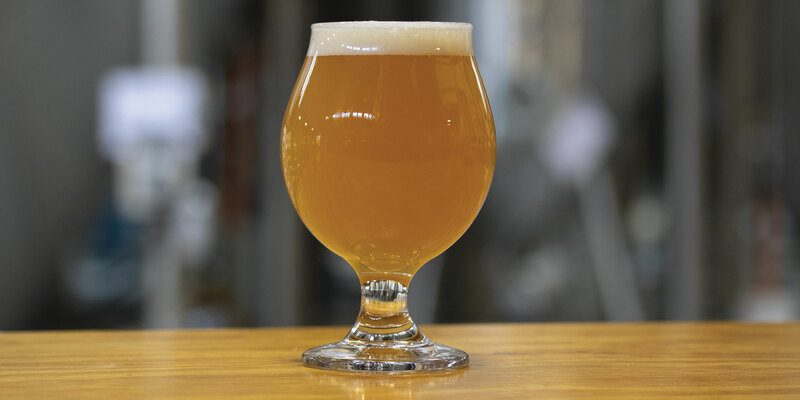 Read on to find out more about sour beers! Belgian brewers still employ a number of techniques to achieve the desired sour effect. Many lambic breweries create a cloudy wort deemed suitable for the long fermentation that is part of barrel aging. Called the turbid mash method, the mash temperature is increased through protein and starch conversion stages with hot water. During the mash, a portion of under dough, or wort with malt flour, is pulled from the bottom of the mash tun, heated to 185-190⁰ F, then returned to the mash. Although the process is counter intuitive, meaning that the goal of regular brewing is to convert the mash completely, it is believed that the starch and unconverted protein from the turbid mash is utilized by the mix of bacteria and wild yeast later during fermentation.2 Wort is then run off to the kettle, boiled, and sent to a coolship. 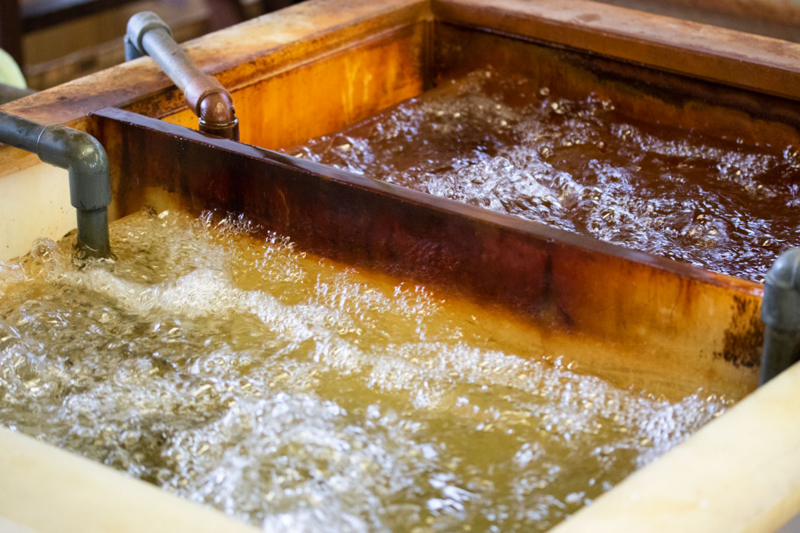 The coolship is an open vessel that looks like a large, shallow pan. Wort cools to ambient temperature and the microflora present in the brewery environment begin spontaneous fermentation. After an appropriate interval, the inoculated wort will be transferred to wooden barrels for 12-24 months.3 Sometimes fruit is added to the barrels to balance the sour character. The wooden barrels that hold the lambic or other sour beer will be blended for a final bottling or racking into kegs. It is the skill of the brewer that will determine the right blend of old and young aging beer. A normal part of brewing should include checking pH of the water, mash, wort and beer. Acidifying the water and mash during the brewing process promotes enzymatic activity for starch and protein conversion. Making a sour beer requires further attention to specific phases of the process. pH readings after the inoculation phase of souring will show how effective the effort has been. Brewers souring in the kettle will hold the wort at Lactobacillus growth temperature [85-100℉] until the target pH is reached [3.2-3.6]. Acidifying the wort before inoculation of bacteria [4.0-4.5] may help inhibit the growth of undesirable bacteria and yeast.5 Overall, the brewer wants to know that a lower than normal pH has been achieved, ensuring a sour product, targeting values as low as 3.1. A more precise method of determining the amount of acid produced during the souring process is titratable acidity. Titration is a common laboratory method of quantitative chemical analysis that is used to determine the concentration of an identified analyte. In the case of beer, total acidity is normally ascribed to lactic acid, the major byproduct of Lactobacillus fermentation. While pH is an important indicator, it differs from total acidity. The relationship of pH to acidity is complex since pH is the measurement of hydrogen ion activity and acidity is the concentration or buffering capacity of a particular acid. Additional acid may not appreciably affect the pH because compounds such as phenols may act in a buffering capacity to prevent changes in the pH. The expected relation between pH and TA is such that higher acidity usually correlates to lower pH. Since most of the sour beer programs involve racking the beer to multiple 60 gal wine or whisky barrels, brewers have the task of combining a number of barrels to make a large enough batch for bottling or kegging. Brewers will make a sensory evaluation of the beer at hand to determine which barrels are ready for blending. Knowing the pH and the TA of the barrel helps when making decisions for blending beer for bottling or kegging. 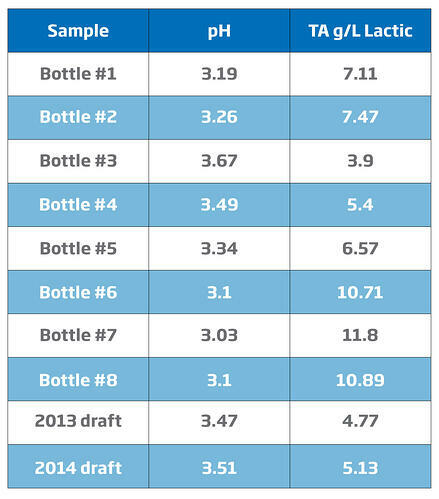 A number of breweries now regularly take both measurements before blending various barrels. Add just the right amount of pucker to your sour beers. For assistance in choosing the best pH and titration options, please contact us using one of the channels below.